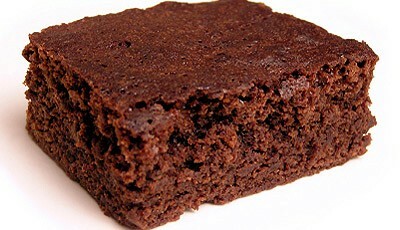 *I realize that brownies are by no means a Middle Eastern or Mediterranean tradition. I’m not even going to feign a connection. However, I feel compelled to share with you this brownie recipe from my America’s Test Kitchen cookbook. Brownies and pecan pie are my go to desert for company and so I’m always looking for ways to improve either recipe. You don’t get any better chocolaty goodness than this. 1) Heat the oven to 325 degrees. Grease a cake pan. 2) In a medium bowl, sift the flour, salt, and baking powder. Set aside. 3) Put the chocolate and butter in a large microwave-safe bowl. Heat the chocolate on high for 45 seconds and stir. Heat again for 30 seconds and stir. Continue at 15 second intervals until chocolate and butter are completely smooth. Be sure chocolate does not burn. 4) Whisk in the sugar and then eggs. Whisk in vanilla. Add the dry ingredients and stir carefully until the batter is smooth. Add nuts. 5) Spoon the batter into the pan and spread evenly. Cook for 30-35 minutes. Let brownies completely cool before cutting.